SUPREMES @ 12 weeks old at his first show!!! 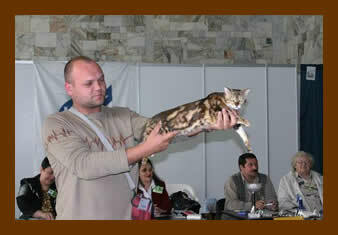 Best Group 3 kitten, Best Allbreed Kitten, Best Bengal and SUPREME EXHIBIT. 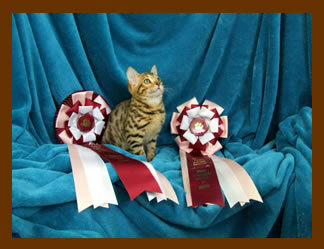 All 3 judges unanimously awarded Best junior cat! 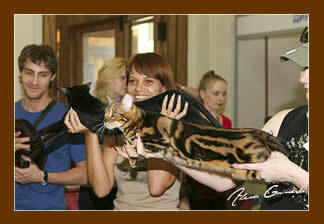 twice best Junior, and Supreme exhibit. 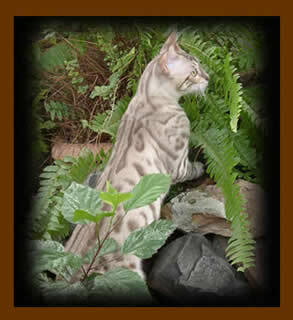 Jagsun Hau Kea awarded TICA's Best Mink Spotted Bengal USA 2005.